AstraZeneca and the UK’s Medical Research Council have unveiled a groundbreaking collaboration which will see them working hand-in-hand in a joint research facility in Cambridge in the UK. The new AstraZeneca MRC UK Centre for Lead Discovery is part of a new drive by the company to reinvigorate its research after years of underperformance. The centrepiece to this effort is relocating its headquarters and its R&D base to one single site in Cambridge. The link-up with the MRC, which is the UK’s government-funded centre, will also bolster the credentials of the firm’s new base, dubbed the Cambridge Biomedical Campus. The public-private alliance is also part of wider trend across the pharma industry to work more closely with leading academic researchers, who over the years have generated much of the scientific knowledge used to develop new drugs, as well as early stage compounds as well. The MRC has a long and distinguished heritage in this field – one of the most notable examples being research into mouse antibodies in the 1970s and 1980s which led directly to 12 monoclonal antibody drugs being developed, including top-selling cancer drug Avastin and rheumatoid arthritis treatment Humira. The MRC has many ongoing collaborations with pharma, but the AstraZeneca alliance looks set to involve closer collaboration than many previous partnerships, and looks to be part of a long-term game plan from AstraZeneca. The AstraZeneca MRC UK Centre for Lead Discovery will sit within the firm’s Cambridge Biomedical Campus, due to be completed in 2016, and will see world class MRC-supported researchers working side-by-side with scientists in AstraZeneca’s high throughput screening group. The teams will focus on identify new methods to better understand a range of diseases and potential treatment options, and generate new lead compounds to take into development. As part of the collaboration, which will run for an initial period of five years, the MRC’s researchers will gain unprecedented access to over two million molecules in AstraZeneca’s compound library, as well as its state-of-the-art high throughput screening facilities at the new site. Research proposals will be submitted to the MRC that will independently assess and select the best scientific proposals from a broad range of therapy areas and diseases. The MRC will fund up to 15 screening projects per year to be carried out at the Centre for Lead Discovery. 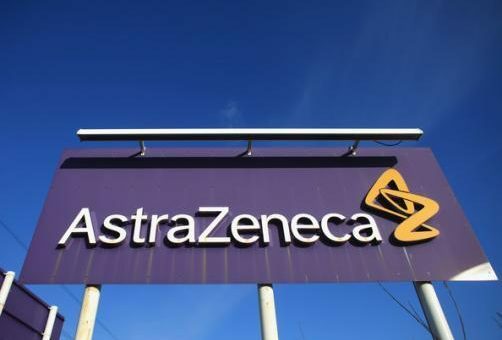 AstraZeneca will have the first option to enter a negotiation to license any resulting drug discovery programmes of relevance to the company’s therapeutic areas of interest. If this option is not used, the academics can negotiate with other parties. Some initial projects may commence as early as 2015, based at AstraZeneca’s existing research facilities. The news was also welcomed by the UK government’s Science Minister David Willetts, who said it was “a huge vote of confidence in our UK science base”. The last few years has seen several major pharma companies close UK research sites – including Pfizer, Novartis and AstraZeneca, and while these generally reflected global reorganisations of pharma research, the UK has been made nervous about industry investment in the country. The announcement comes just a few days after the UK’s other home-grown big pharma company, GSK, announced its own strategic alliance with strong similarities to the AstraZeneca collaboration. GSK is to work two other world-class academic institutes based in Cambridge, and like AstraZeneca, this too will focus on picking the best molecules to develop. GSK will work with the European Bioinformatics Institute (EMBL-EBI) and the Wellcome Trust Sanger Institute to create the new Centre for Therapeutic Target Validation (CTTV), a joint venture in which data will be shared openly to accelerate drug discovery across a range of disease areas. One key difference is that the AstraZeneca – MRC alliance will be confined to just these two parties, whereas the CTTV will be open to alliances with other pharma companies.